ARLINGTON, VA; OCTOBER 26, 2016 – PBS and WNET announced that the October 21 premiere of HAMILTON’S AMERICA, the kick-off program for the 2016 PBS Arts Fall Festival, was seen by more than 3.6 million television viewers between its premiere on Friday, October 21 and Sunday, October 23 (Nielsen Weekend Fast National, Live+SD data). Friday night’s viewership (2.4 million average audience, 1.6 household rating) was 136 percent percent above the PBS program average for 9:00 p.m. Friday premieres over the past year (Nielsen Fast National Live +Same Day). HAMILTON’S AMERICA was also simulcast live on the GREAT PERFORMANCES Facebook page, alongside the television broadcast with more than 640,000 streams over the weekend. Friday evening, 165,000 unique people generated 301,000 interactions about HAMILTON’S AMERICA across Facebook and Twitter on both the PBS and GREAT PERFORMANCES platforms. Overall, the film was the #1 most social program of the day on Friday, October 21 (Source: Nielsen Social Content Ratings, 10/21 Episodes ranked on Total Interactions). HAMILTON’S AMERICA saw 540,000 streams across all PBS digital platforms Friday to Sunday, ranking it as one of the most streamed documentaries on PBS this year. HAMILTON’S AMERICA will be available to stream for free through November 18 on PBS.org, via the PBS apps for iOS and Android devices and via station-branded digital platforms including Roku, AppleTV, Amazon Fire TV and Chromecast. Over the past month the GREAT PERFORMANCES website, with a special page for HAMILTON’S AMERICA, has received 760,000 unique visitors since September 25, 2016. There, visitors can learn more about the documentary, watch exclusive clips and obtain media-rich resources for classroom instruction about Alexander Hamilton. 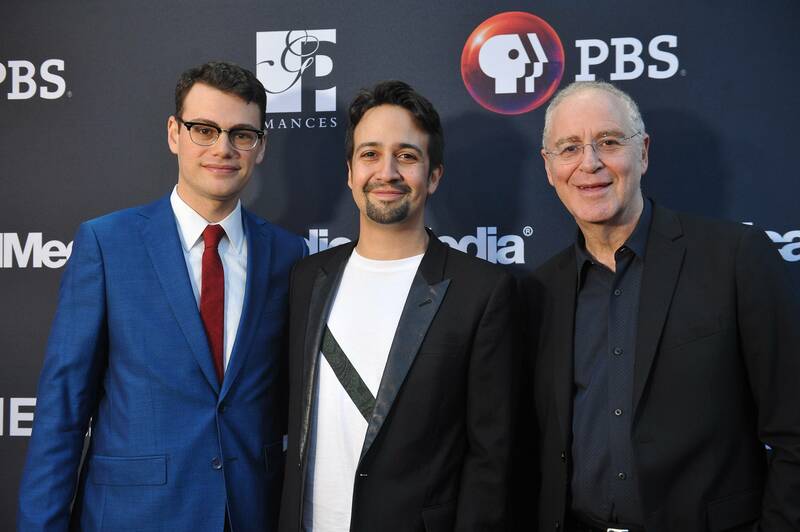 To engage enthusiastic viewers in the premiere, local PBS stations held more than 50 preview screenings for HAMILTON’S AMERICA and other PBS Arts Fall Festival titles. These screening events allowed member stations to extend the excitement of the series through communities across the country. Produced by Academy Award® and Emmy Award®-winning producers RadicalMedia (What Happened, Miss Simone?, Keith Richards:Under The Influence, In the Heights: Chasing Broadway Dreams for PBS) and directed by Alex Horwitz, HAMILTON’S AMERICA delves even deeper into the creation of the show, revealing Miranda’s process of absorbing and then adapting Hamilton’s epic story into groundbreaking musical theater. Further fleshing out the story is newly shot footage of the New York production with its original cast, trips to historic locations such as Mt. Vernon and Valley Forge with Miranda and other cast members, and a surprising range of interviews with prominent personalities, experts, politicians, and musicians including President Barack Obama, President George W. Bush. Speaker of the House Paul Ryan, Senator Elizabeth Warren, Secretary Hank Paulson, Secretary Timothy Geithner, Questlove, Black Thought, Jimmy Fallon, John Weidman, Nas and Stephen Sondheim. HAMILTON’S AMERICA is directed by Alex Horwitz and produced by Nicole Pusateri, with Executive Producers Jon Kamen, Justin Wilkes, and Dave Sirulnick for RadicalMedia. Jeffrey Seller and Lin-Manuel Miranda also serve as executive producers. For GREAT PERFORMANCES, Bill O’Donnell is series producer; David Horn is executive producer.